Snow tubers cavort in the Canaan Valley in the lofty Allegheny Mountains in northern West Virginia. 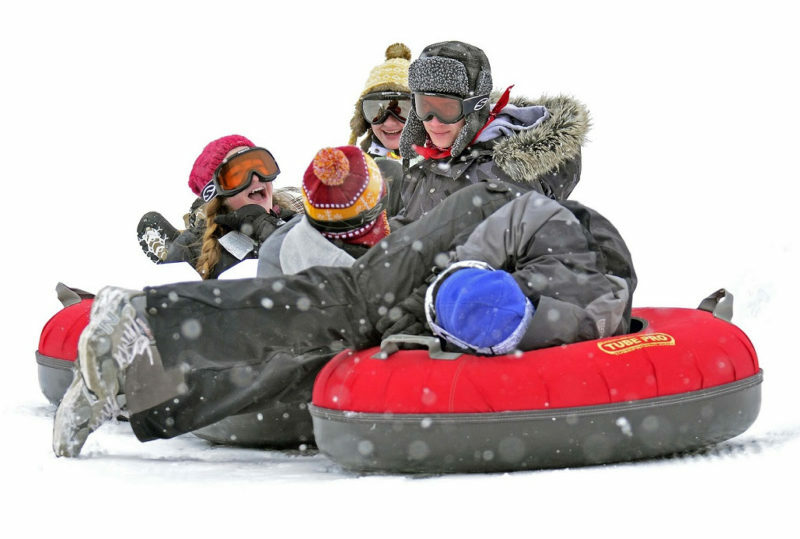 Though spring is on its way, it’s still winter in the high Alleghenies of northern West Virginia, and skiing and tubing at Canaan Valley Resort are in full swing. A drive of less than three hours from downtown Washington, D.C., the on-slope and après-ski fun hasn’t ended in the highlands, and resort officials are encouraging skiers and tubers to head for the hills where discounted midweek room rates and other travel packages are being offered through March 1. Cabin Fever — Guests save 25 percent off cabin, cottage, and room rates when staying midweek Sundays through Thursday evenings. Savvy Seniors — Guests 60 and older can receive an $85 rate on midweek overnight accommodations in a standard room with two queen beds Sunday through Thursday except on President’s Day Weekend. Room upgrades are available for an additional rate. Guests must show identification at check-in. Ski-and-Stay — Rates start at $171 per person for two nights of lodging, two breakfasts, two-day lift ticket and Beech Club privileges. Food-Bank Monday — Skiers mid-week may donate a non-perishable food item and receive a lift ticket for $20. BOGO Tuesday — Anyone who purchases a lift ticket, tubing session, or ice skating sessions will receive the same item of equal or lesser value free. Daily discounts are also available for college students, first-responders, and members of the military. In the highest mountain valley to the east of the Rockies, with summit 4,280 feet above sea level, the resort includes, 91 skiable acres, four lifts, 47 trails and slopes as well as a multi-lane tubing park, cross country skiing and ice skating rink. The ski area recently swept the Liftopia’s “Best in Snow” awards for the Southeast U.S. for the second year in a row. The resort also offers a multi-lane tubing park, cross-country skiing and ice-skating rink. To reserve accommodations, visit Canaan Resort or call 1-800-622-4121.